Palau (, historically Belau or Pelew), officially the Republic of Palau (Palauan: Beluu er a Belau), is an island country located in the western Pacific Ocean. The country contains approximately 340 islands, forming the western chain of the Caroline Islands in Micronesia, and has an area of 466 square kilometers (180 sq mi). The most populous island is Koror. The capital Ngerulmud is located on the nearby island of Babeldaob, in Melekeok State. Palau shares maritime boundaries with Indonesia, the Philippines, and the Federated States of Micronesia. The country was originally settled approximately 3,000 years ago by migrants from the Philippines and sustained a Negrito population until around 900 years ago. The islands were first explored by Europeans in the 16th century, and were made part of the Spanish East Indies in 1574. Following Spain's defeat in the Spanish–American War in 1898, the islands were sold to Imperial Germany in 1899 under the terms of the German–Spanish Treaty, where they were administered as part of German New Guinea. The Imperial Japanese Navy conquered Palau during World War I, and the islands were later made a part of the Japanese-ruled South Pacific Mandate by the League of Nations. During World War II, skirmishes, including the major Battle of Peleliu, were fought between American and Japanese troops as part of the Mariana and Palau Islands campaign. Along with other Pacific Islands, Palau was made a part of the United States-governed Trust Territory of the Pacific Islands in 1947. Having voted against joining the Federated States of Micronesia in 1979, the islands gained full sovereignty in 1994 under a Compact of Free Association with the United States. Politically, Palau is a presidential republic in free association with the United States, which provides defense, funding, and access to social services. Legislative power is concentrated in the bicameral Palau National Congress. Palau's economy is based mainly on tourism, subsistence agriculture and fishing, with a significant portion of gross national product (GNP) derived from foreign aid. The country uses the United States dollar as its currency. 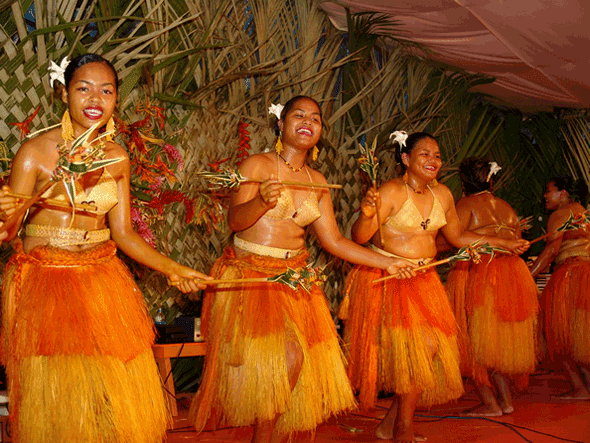 The islands' culture mixes Micronesian, Melanesian, Asian, and Western elements. 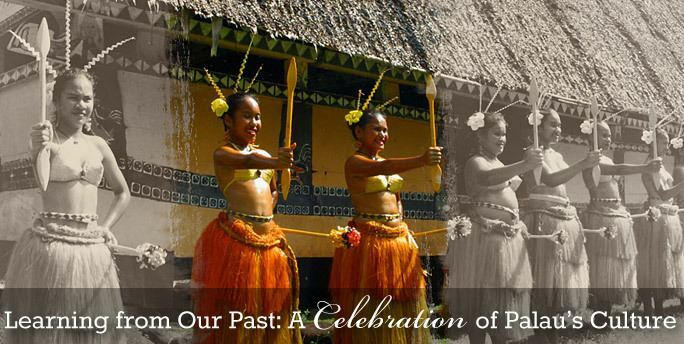 Ethnic Palauans, the majority of the population, are of mixed Micronesian, Melanesian, and Austronesian descent. 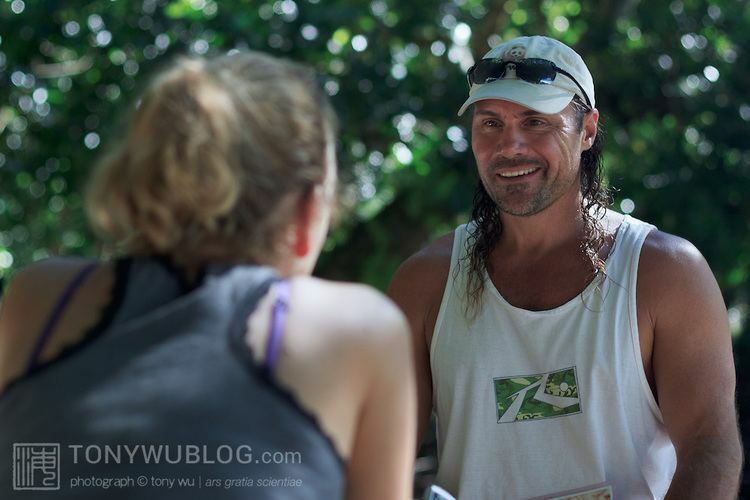 A smaller proportion of the population is descended from Japanese and Filipino settlers. The country's two official languages are Palauan (a member of the wider Sunda–Sulawesi language group) and English, with Japanese, Sonsorolese, and Tobian recognized as regional languages. Palau was originally settled between the 3rd and 2nd millennia BC, most likely from Austronesia or Indonesia. The islands sustained a population of short-statured Melanesian or Pygmy people until the 12th century, when they were replaced. The modern Polynesian population, judging by its language, may have come from the Sunda Islands. 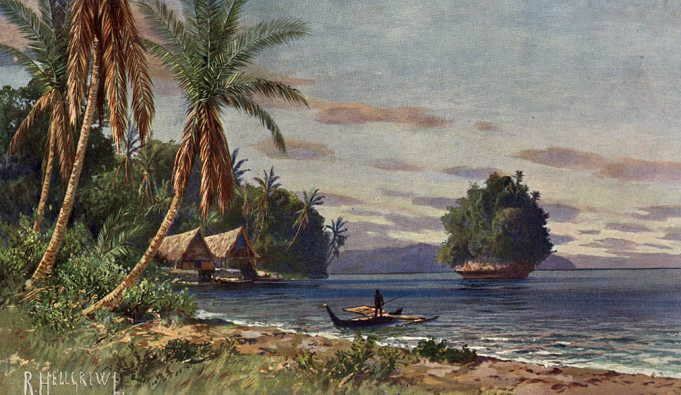 The conscious discovery of Palau came a century later in 1697, when a group of Palauans were shipwrecked on the Philippine island of Samar to the northwest. They were interviewed by the Czech missionary Paul Klein on 28 December 1696. Klein was able to draw the first map of Palau based on the Palauans' representation of their home islands that they made with an arrangement of 87 pebbles on the beach. Klein reported his findings to the Jesuit Superior General in a letter sent in June 1697., equaling to the discovery of Palau. This map and the letter caused a vast interest in the new islands. Another letter written by Fr. Andrew Serrano was sent to Europe in 1705, essentially copying the information given by Klein. The letters resulted in three unsuccessful Jesuit attempts to travel to Palau from Spanish Philippines in 1700, 1708 and 1709. The islands were first visited by the Jesuit expedition led by Francisco Padilla on 30 November 1710. The expedition ended with the stranding of the two priests, Jacques Du Beron and Joseph Cortyl, on the coast of Sonsorol, because the mother ship Santísima Trinidad was driven to Mindanao by a storm. Another ship was sent from Guam in 1711 to save them only to capsize, causing the death of three more Jesuit priests. The failure of these missions gave Palau the original Spanish name Islas Encantadas (Enchanted Islands). Despite these early misfortunes, the Spanish Empire later came to dominate the islands. British traders became prominent visitors to Palau in the 18th century, followed by expanding Spanish influence in the 19th century. Following its defeat in the Spanish–American War, Spain sold Palau and most of the rest of the Caroline Islands to the German Empire in 1899 pursuant to the German–Spanish Treaty (1899). During World War I, the Japanese Empire annexed the islands after seizing them from Germany in 1914. Following World War I, the League of Nations formally placed the islands under Japanese administration as part of the South Pacific Mandate. During World War II, the United States captured Palau from Japan in 1944 after the costly Battle of Peleliu, when more than 2,000 Americans and 10,000 Japanese were killed. The islands passed formally to the United States under United Nations auspices in 1947 as part of the Trust Territory of the Pacific Islands established pursuant to Security Council Resolution 21. Four of the Trust Territory districts joined together and formed the Federated States of Micronesia in 1979, but the districts of Palau and the Marshall Islands declined to participate. Palau, the westernmost cluster of the Carolines, instead opted for independent status in 1978. It approved a new constitution and became the Republic of Palau in 1981. It signed a Compact of Free Association with the United States in 1982. After eight referenda and an amendment to the Palauan constitution, the Compact was ratified in 1993. The Compact went into effect on 1 October 1994, marking Palau de jure independent, although it had been de facto independent since 25 May 1994, when the trusteeship ended. Palau is a multi-party democratic republic. The President of Palau is both head of state and head of government. Executive power is exercised by the government, while legislative power is vested in both the government and the Palau National Congress. The judiciary is independent of the executive and the legislature. Palau adopted a constitution in 1981. As a sovereign nation, Palau conducts its own foreign relations. Since independence, Palau has established diplomatic relations with a number of nations, including many of its Pacific neighbors, like Micronesia and the Philippines. On 29 November 1994, the United Nations Security Council passed Resolution 963 recommending Palau's admission to the United Nations. The United Nations General Assembly approved admission for Palau pursuant to Resolution 49/63 on 15 December 1994. Palau has since joined several other international organizations. In September 2006, Palau hosted the first Taiwan-Pacific Allies Summit. Its President has made official visits to other Pacific countries, including Republic of China. The United States maintains a diplomatic delegation and an embassy in Palau, but most aspects of the countries' relationship have to do with Compact-funded projects, which are the responsibility of the U.S. Department of the Interior's Office of Insular Affairs. In international politics, Palau often votes with the United States with respect to United Nations General Assembly resolutions. The Philippines, a neighboring ally of Palau to the west, has expressed its intent to back Palau if ever it wishes to join ASEAN. In June 2009, Palau announced that it would accept up to seventeen Uyghurs that had previously been detained by the American military at Guantanamo Bay, with some American compensation for the cost of their upkeep. Historically, Palau's Rock Islands have been part of the State of Koror. Palau employs 18 marine police officers to patrol the nation's 230,000 square mile exclusive economic zone. They employ a donated Australian patrol boat, the Remeliik, to hunt for poachers and unlicensed fishermen. Two small fiberglass boats are used for littoral operations. They are based on Koror. Palau's territory consists of an archipelago located in the Pacific Ocean. 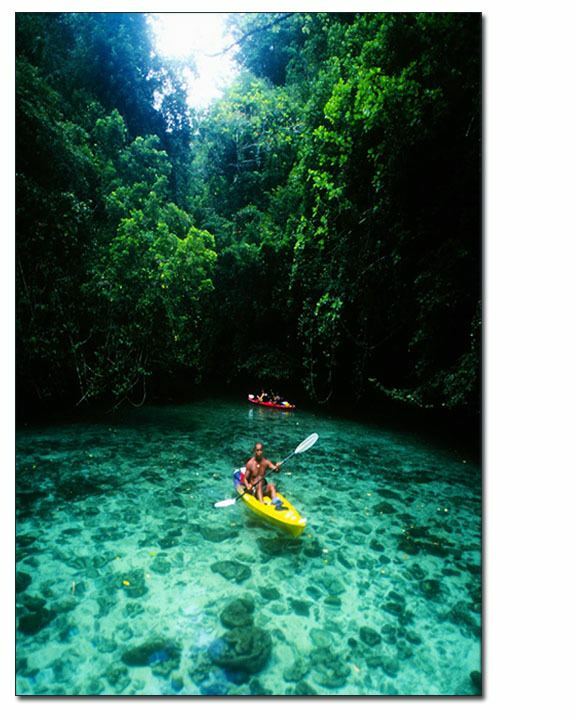 Its most populous islands are Angaur, Babeldaob, Koror and Peleliu. The latter three lie together within the same barrier reef, while Angaur is an oceanic island several miles to the south. About two-thirds of the population live on Koror. Saltwater crocodiles are also indigenous to Palau and occur in varying numbers throughout the various mangroves and even in parts of the beautiful rock islands. Although this species is generally considered extremely dangerous, there has only been one fatal human attack in Palau within modern history, and that was in the 1960s. In Palau, the largest crocodile measured in at 4.5 meters (15 ft). Air service has at times been spotty. Palau Micronesia Air, Asian Spirit and Pacific Flier provided service to the Philippines and other destinations at various times during the 2000s, but all suspended service. United Airlines now provides near-daily service to and from Guam, and once-weekly service to Yap. Also, Delta Air Lines provides service three times per week to Tokyo. Palau International Airport provides scheduled direct flights with Guam, Manila, Seoul and Taipei and since December 2010, Tokyo-Narita. Palau Pacific Airways also has charter flights to and from Hong Kong and Macau. In addition, the states of Angaur and Peleliu have regular service to international destinations. Freight, military and cruise ships often call at Malakal Harbor, on Malakal Island outside Koror. The country has no railways, and of the 61 km or 38 mi of highways, only 36 km or 22 mi are paved. Driving is on the right and the speed limit is 40 km/h (25 mph). Taxis are available in Koror. They are not metered and fares are negotiable. Only Koror offers bus service. Transportation between islands mostly relies on private boats and domestic air services. However, there are some state run boats between islands as a cheaper alternative. The population of Palau is approximately 21,000, of whom 73% are native Palauans of mixed Melanesian, and Austronesian descent. There are many Asian communities within Palau. Filipinos form the largest Asian group and second largest ethnic group in the country. There are significant numbers of Chinese and Koreans. There are also smaller numbers of Palauans of mixed or full Japanese ancestry. Smaller numbers of Bangladeshi and Nepalese migrant workers and their descendants who came to the islands during the late 1900s can also be found. Most Palauans of Asian origin came during the late 1900s with many Filipinos, Chinese, Bangladeshis and Nepalese coming to Palau as unskilled workers and professionals. There are also small numbers of Europeans and Americans. The official languages of Palau are Palauan and English, except for two states (Sonsorol and Hatohobei) where the local language, Sonsorolese and Tobian, respectively, along with Palauan, is official. Japanese is spoken by some older Palauans and is an official language in the State of Angaur. Including second-language speakers, more people speak English than Palauan in Palau . The German and Japanese occupations of Palau both subsidized missionaries to follow the Spanish. Three quarters of the population are Christians (mainly Roman Catholics and Protestants), while Modekngei (a combination of Christianity, traditional Palauan religion and fortune telling) and the ancient Palauan religion are commonly observed. Japanese rule brought Mahayana Buddhism and Shinto to Palau, which were the majority religions among Japanese settlers. However, following Japan's World War II defeat, the remaining Japanese largely converted to Christianity, while the remainder continued to observe Buddhism, but stopped practicing Shinto rites. There are also approximately 400 Bengali Muslims in Palau, and recently a few Uyghurs detained in Guantanamo Bay were allowed to settle in the island nation. According to 2015 estimates 45.3% of the population is Roman Catholic, 34.9% Protestant, 6.9% Seventh-day Adventist, 5.7% Modekngei and 3.0% Muslim. In 2009, the small Jewish community sent two cyclists to the 18th Maccabiah Games. Palauan society follows a very strict matrilineal system. Matrilineal practices are seen in nearly every aspect of Palauan traditions, especially in funeral, marriage, inheritance and the passing of traditional titles. The present day "traditional" government of Palau is a continuation of its ancestor, composed of practices that span thousands of years. Traditionally, Palau was hierarchically organized. The lowest level is the village or hamlet, then the chiefdom (now politically referred to as a state) and finally alliances of chiefdoms. In ancient times, numerous federations divided power, but upon the 17th century introduction of firearms by the British, an imbalance of power occurred. Palau became divided into northern and southern federations. The Northern Federation is headed by the high chief and chiefess of the ruling clan Uudes of Melekeok state, the Reklai and Ebilreklai. They are commonly referred to as the king and queen of the Northern Federation. This northern federation comprises the state of Kayangel, Ngerchelong, Ngardmau, Ngiwal, Ngaraard, Ngatpang, Ngeremlengui, Melekok, Aimeliik, Ngchesar and Airai. The Southern Federation is likewise represented by the high chief and chiefess of the ruling Idid of Koror state. The Southern Federation comprises the states of Koror, Peleliu and Angaur. However, fewer and fewer Palauans have knowledge of the concept of federations, and the term is slowly dying out. Federations were established as a way of safeguarding states and hamlets who shared economic, social, and political interests, but with the advent a federal government, safeguards are less meaningful. It is interesting to note however, that in international relations, the king of Palau is synonymous with the Ibedul of Koror. This is because Koror is the industrial capital of the nation, elevating his position over the Reklai of Melekeok. It is a misconception that the king and queen of Palau, or any chief and his female counterpart for that matter are married. Traditional leaders and their female counterparts have always been related and unmarried (marrying relatives was a traditional taboo). Usually, a chief and his female counterpart are brother and sister, or close cousins, and have their own spouses. Palau also has a national football team, organised by the Palau Soccer Association, but is not a member of FIFA. The Association also organizes the Palau Soccer League. Primary education is required until age of 16. Schools include both public and private institutions as well as some fields of study available at Palau Community College. For further undergraduate, graduate and professional programs, students travel abroad to attend tertiary institutions. Popular choices among Palauan scholars include the San Diego State University, University of the South Pacific, University of Guam, and the University of Hawaii. Palau has its own cuisine, for instance, a dessert called tama. Palauan cuisine includes local foods such as cassava, taro, yam, potato, fish and pork. 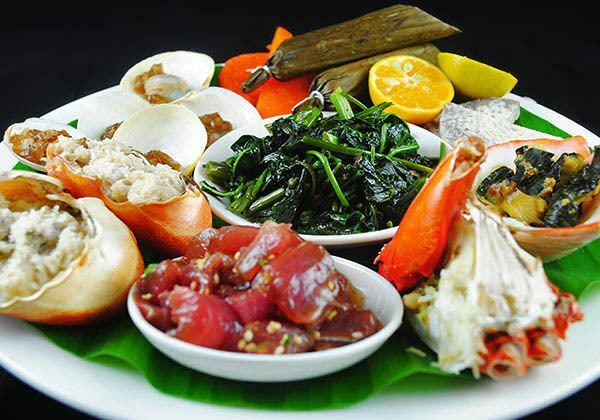 Western cuisine is favored among young Palauans. Several television programs and films have been shot in Palau. Examples include the reality show Survivor: Palau and the 1968 film Hell in the Pacific starring Lee Marvin. A television documentary about Palau called Strategic Trust: The Making of Nuclear-free Palau was narrated by Joanne Woodward and aired in the USA in 1984.